Time and again, we have always stressed the importance of a good quality helmet. Acting as the first barrier between any obstacle and your head, a helmet is a very basic, yet very important piece of safety equipment for you and your head. While we should be arguing about getting good quality helmets over inexpensive, sub-standard quality ones; unfortunately, we are in a country where we argue about how wearing a helmet cause baldness, neck injuries and oppose the compulsion of wearing one. A good argument these ‘helmet opposers’ have always had is the fact that they believe that an accident can not occur at the ‘low speeds’ they travel with. We hope, they change their mind after watching this video. Seen on the twitter profile of IPS officer Raj Tilak Roushan, the video showcases a bike who tries to overtake a truck at a relatively slow speed. 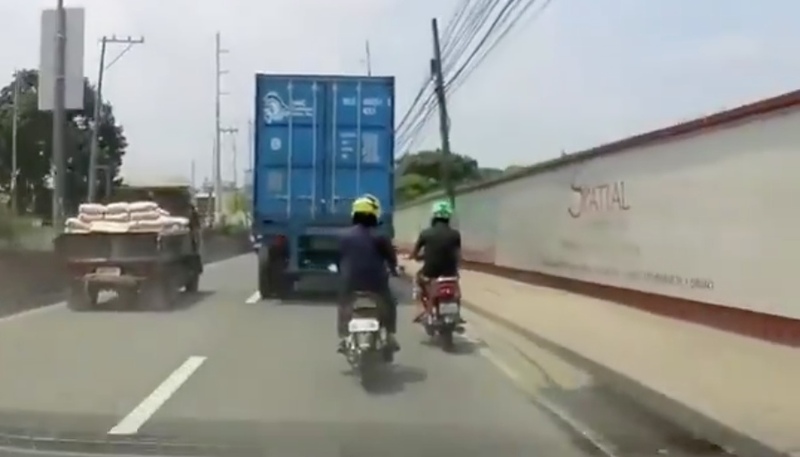 The person on the bike begins to get impatient, and decides to overtake the truck through the narrow gap between the curb and the truck. While navigating through that narrow gap, the biker happens to lose his balance and falls off his 2-wheeler. 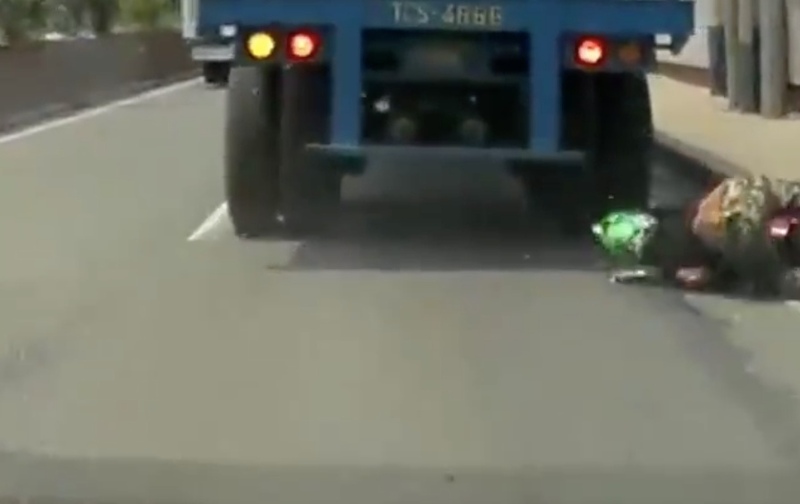 With the truck moving so close, the truck is then seen driving over this biker’s head. But unlike what you would expect, the biker stands up, takes his damaged helmet off, and sits down. He may be trying to recuperate from the mental damage. However, thanks to the good quality helmet wrapped around his head, the biker was free of any type of physical damage by the looks of it. As for the helmet, it may not be used any more, but what would you have your close ones rather attend, your own funeral or the funeral of your helmet?